Bill Johnson was born on September 1, 1931, and raised in Carter County, Tennessee. He left high school before graduating to enlist in the Army on October 3, 1952, and completed basic training in December 1952. After serving for a short time at Camp Roberts and Camp Stoneman, California, Pvt Johnson deployed to Camp Drake in Asaka, Japan, in March 1953 and joined 3rd Platoon, Company K, 3rd Battalion, 8th Cavalry Regiment, 1st Cavalry Division, at Hokkaido, Japan. He was an infantryman and his unit trained continuously in preparation for returning to combat in Korea, and during this time Cpl Johnson's unit exercised beach landings on the Korean Peninsula. 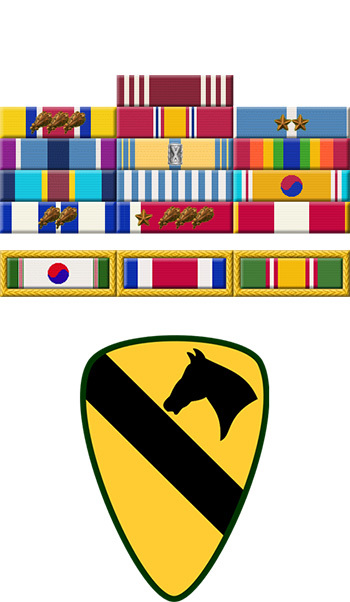 The 1st Cavalry Division had been decimated during earlier fighting in Korea and the unit was being reconstituted in Japan. 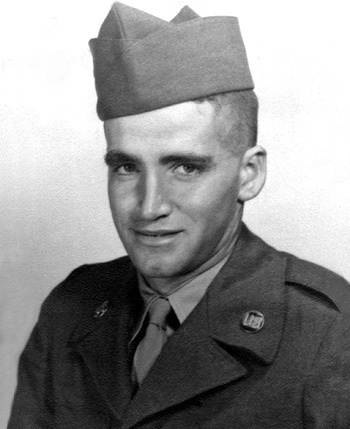 An armistice signed on July 27, 1953 ended fighting in Korea, but Cpl Johnson remained in theater until returning to the states where he received an honorable discharge on September 17, 1954. Cpl Johnson was on inactive status with the Army Reserve until he enlisted in the Tennessee Army National Guard on April 24, 1960. His first assignment was as a heavy vehicle crewman and driver with Headquarters Company, 1st Battalion, 117th Infantry Regiment, in Johnson City, Tennessee, from April 1960 until he left the National Guard on April 23, 1963. He reenlisted in the Tennessee Army National Guard on June 17, 1963, and served until June 16, 1964. Sgt Johnson again reenlisted in the Tennessee Army National Guard on November 1, 1969, and served with the 771st Maintenance Company, 176 Maintenance Battalion. Sgt Johnson served as a repair parts supervisor, power generator mechanic and large wheeled vehicle driver. Sgt Johnson performed most of his annual training at Camp Shelby, Mississippi, and at Fort Stewart, Georgia. He retired from the Tennessee Army National Guard on January 1, 1989, with 32 years of combined military service. Bill Johnson died on October 6, 2011, and is buried at the Mountain Home National Cemetery in Johnson City, Tennessee.